Chicago Limo - Elite Chicago Limousine Service Chicago Loves! WHAT TYPE OF LIMO SERVICE ARE YOU LOOKING FOR? From Town Cars to Limousines to Party Buses - you name it - we have them all. 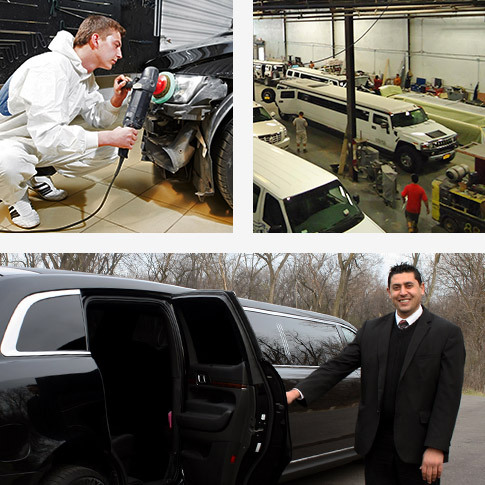 We are known as the most versatile limousine service company in Chicago, catering to groups of 1 to 30 people. Guaranteed on-time airport shuttle service. Our professional chauffeurs will make sure that your travel is safe and comfortable. Book your limousine in person via the phone or online. Having a vehicle that matches your special occasion is not only convenient, but also FUN. From a variety of limousines and party buses to choose from, you are sure to find a ride that fits your needs just right. Need assistance in planning an event? Give us a call and we will be happy to assist you! Perfection is guaranteed. When it comes to your special day, we will go above and beyond to provide superb limousine and party bus service. It is by no coincidence that Elite Chicago Limo is rated as the best wedding transportation provider year after year. You may schedule viewing appointments to see your ride in person before the date. Boasting a fleet of ten party buses, each uniquely designed and built, we are the BEST party bus company in all of Chicagoland! Each bus was built with a specific theme in mind and contains all of the premium limousine amenities with an extraordinary light show. There is no other Limousine company in Chicago like us. We are a family run business and we treat our clients like family. Try us once and you will never go anywhere else. We transport hundreds of clients every week at the highest level of service in Chicago area. Our cars are chauffeured by professional, courteous, friendly, and safe drivers who have extensive knowledge of Chicago and the surrounding Suburbs. Every single party bus in our fleet was built and designed by Elite Chicago Limo Customs. We know exactly what works for the Chicago transportation market. Having to wait on hold for an extended period of time when you have an issue is a non-factor with Elite. We have phone coverage 24/7 and are happy to assist you.